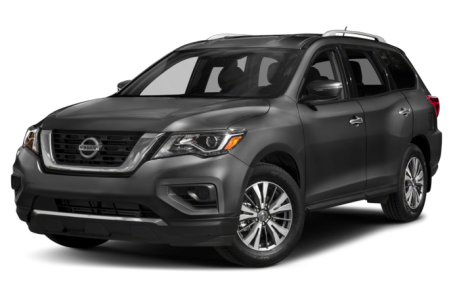 The 2018 Nissan Pathfinder is a mid-size SUV that was redesigned last year. It seats seven passengers across three rows. Under the hood, the Pathfinder features a standard 284-hp, 3.5-liter direct-injection V-6 engine mated to a continuously variable automatic transmission and front-wheel drive (FWD). 4-wheel drive (4WD) is also available. It competes with the Honda Pilot, Toyota 4Runner, and Ford Explorer. Four trims are available: the S, SV, SL, and Platinum.